"Yes, something about the nature of magic appears to be nearly alive, and cannot withstand the presence of simulated A.I. life." Space may be the final frontier, but there's something to be said for magic as well. As it stands, we have a much better understanding of the former than the latter. Blending the two together would only confound things further, even if it makes for interesting reading in I, Mage #0 from Action Lab Entertainment. 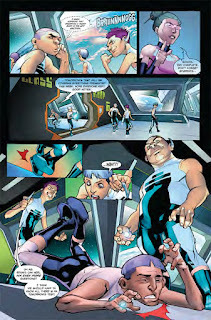 The issue is written by Gary Turner, illustrated by Carlos E. Gomez, colored by Teodoro Gonzalez and lettered by Jimmy Betancourt, Jaymes Reed and Turner. Kai comes from an advanced utopian society. 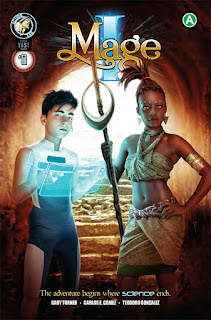 His family signs on with a scientific mission to study a primitive world of magic. When an unforeseen accident devastates their vessel, Kai is separated from the rest of the crew. All aboard escape in life pods...all except Kai. With the protection of a loading dock robot Kai survives the ship's impact to the surface. 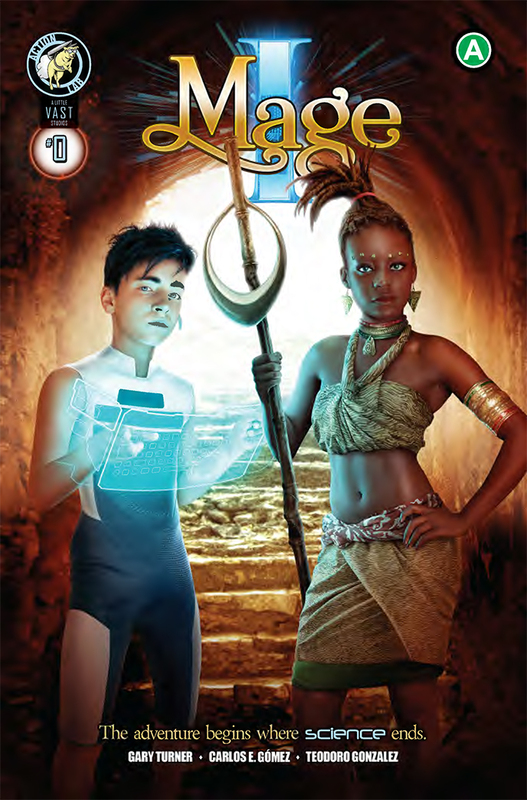 He's rescued by an apprentice magi and her quirky mentor. Together they're Kai's only hope of staying alive long enough for his parent's return. There's an inherent simplicity to I, Mage #0 that gives it a family-friendly vibe. Turner characterizes Kai as something of a young rapscallion, attempting to navigate the difficulties of youth while living aboard a space station. 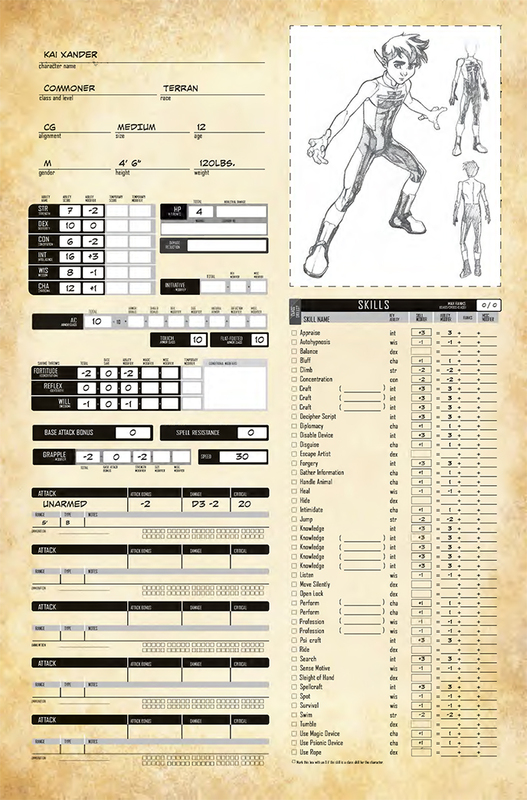 The majority of the issue has Turner following along a day in the life of Kai, effectively laying out to the reader the setting and characters relevant to his story. In fact, at its core, much of I, Mage #0 capitalizes on the premise of bullying as a mechanism to propel Kai into his predicament. There's also plenty of science-fiction elements throughout the work as well, courtesy of the aforementioned space ship, but also because of the issue's cliffhanger ending. There's a sufficient fantasy vibe to the artwork that further grounds the issue somewhere between science-fiction and magic. Gomez illustrates characters with predominantly cartoonish appearances that seem to resemble the look of elves. Kai is depicted as a scrawny child which helps to provide a stark visual contrast against the larger bullies making his life miserable. 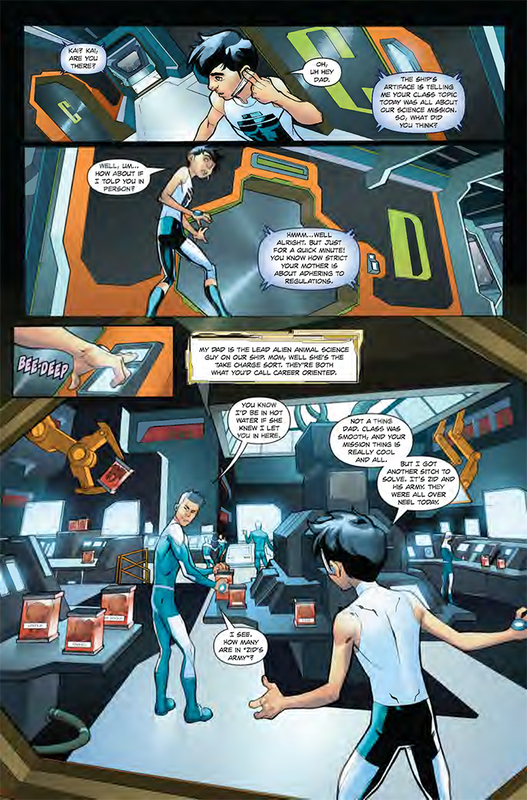 Gomez also manages to fill out the panels with plenty of background action, allowing the reader to better visualize the daily life on the spaceship and the ability for it to instill some sense of normalcy. The colors also add an appropriate level of futurism to the work, as Gonzaelez relies primarily on whites and blacks to reinforce a relatively clean environment. 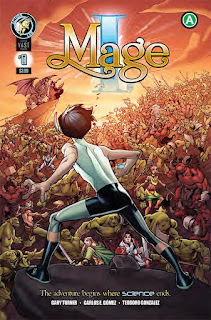 I, Mage #0 is an interesting premise that's buoyed by an all-ages feel. There's a sense that the story has a very ambitious direction it wants to trend toward and much of that groundwork is laid here. Turner's script is pretty easy to read, although it does stumble a bit in terms of really getting into the depths of the world he's exploring (nothing detrimental to the book itself though). The illustrations by Gomez are relatively clean and simple, presenting a friendly appearance that will appeal to readers of all-ages. I, Mage #0 is another feather in Action Lab Entertainment's cap that blends together plenty of great genres in a very friendly format. 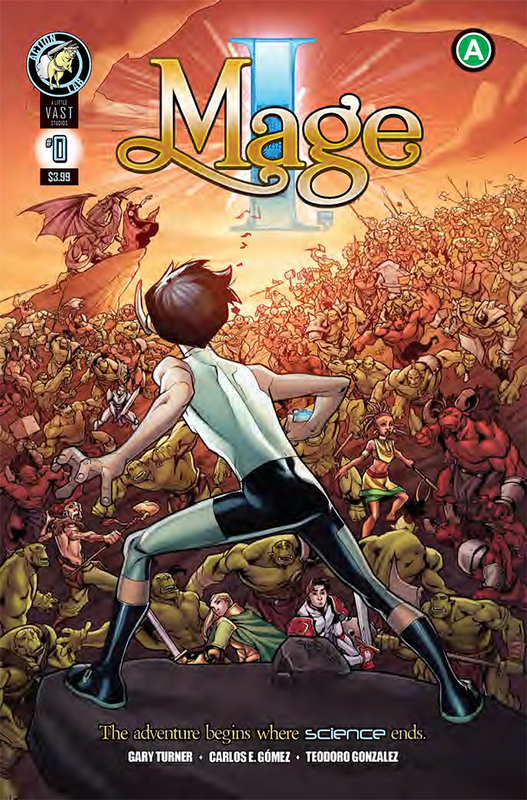 I, Mage #0 is in stores now.